Redis Labs invites you to attend our session titled “Deep Dive on Achieving High Performance and Scale with Redis” presented by Roshan Kumar, Sr. Product Marketing Manager, Redis Labs and Tague Griffith, Head of Developer Advocacy, Redis Labs at Percona Live on April 24, 2017 from 9:30 am – 12:30 pm in room 204. 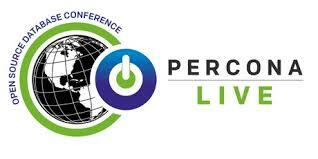 The Percona Live Open Source Database Conference 2017 is the premier event for the diverse and active open source database community, as well as businesses that develop and use open source database software. The conferences have a technical focus with an emphasis on the core topics of MySQL, MongoDB, PostgreSQL and other open source databases. Tackling subjects such as analytics, architecture, and design, security, operations, scalability and performance, Percona Live provides in-depth discussions for your high-availability, IoT, cloud, big data and other changing business needs.